Just Cause 2 Developer Says Wii U Dev Kits Are "Collecting Dust"
Avalanche Studios is reluctant to commit resources to the Wii U until its user base expands. Though some have already predicted that it will fail in the attempt, Nintendo has made third party support for the Wii U a priority since the console's announcement. In step with this objective, its launch library featured several ports and enhanced versions of prominent multiplatform titles, while the future holds the promise of exclusives like Bayonetta 2. Nonetheless, hurdles are already appearing and leaving some developers wary about developing for the Wii U. Some problems stems from the technical limitations of the console's hardware. DICE, the studio behind the Battlefield franchise, recently revealed the Wii U won't be able to run its Frostbite 3 engine, which is likely to serve as the base of many of publisher Electronic Art's future games. This issue isn't insurmountable. Many multiplatform games originating on the PS3 and Xbox 360 saw ports to the technically inferior Wii with downgraded visuals. That said, it's not the only issue the Wii U is contending with. 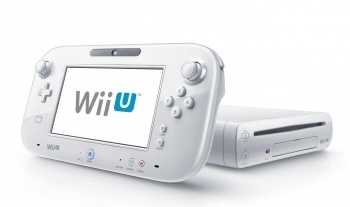 Perhaps more threatening for Nintendo's third party efforts, are the Wii U's lackluster sales. Avalanche Studios, the developer behind Just Cause 2, for instance, has recently indicated that the Wii U's user base isn't large enough for them to invest in development for the console. "We actually had some development kits that just collected dust," said Avalanche founder, Christofer Sundberg. " It's a bit sad, because we wanted to do something. I think it is a cool platform, but right now it's not just up to us. We want the game to reach as many as possible." Sundberg's criticism wasn't just reserved for the Wii U. He expressed disappointment in Nintendo itself, whom he labeled as being difficult to communicate with. "Nintendo have from our point of view has always been difficult to reach. You never quite know who to contact." It's not uncommon for consoles to suffer through slow periods in their early lives. The PS3 worked through several years of sluggish sales until a more developed library of games and significant price cuts helped to drive up sales. That said, the Wii U's challenge is perhaps even greater. With the PS4 and Xbox 360 successor both on the horizon, the Wii U, already selling less than expected, may soon find itself in competition with new entities whose allure may draw consumer focus even further from the console. Considering some consumers don't even realize the Wii U is a different machine from the Wii, Nintendo might be in for more trouble than it expected.